Well, considering I haven’t written for an entire week, I really don’t have a lot to say! We spent last week primarily focused on one thing—planning Grandpa Great’s funeral. We wanted it to be a wonderful celebration of a wonderful man’s life and legacy, and I hope it was. Uke’s funeral was Saturday, and the weather forecast predicted a cold, snowy day. I was thrilled when we woke up Saturday to a beautiful, clear, sunny sky. While it was brisk, it was lovely—and so much better than we’d expected. His services were sweet, funny, and short; everyone who participated did a wonderful job. One of his oldest granddaughters gave a life sketch, and both Sterling and I learned a few things. Sterling’s brother-in-law gave a tribute on the influence Uke had had on him, and Sterling’s remarks focused on the lessons he’d learned from his dad. The younger grandchildren sang “I Am a Child of God,” and the closing song was “There Is Sunshine in My Soul Today,” the only song Grandpa Great ever sang at church during the time he lived with us. I think it was because he couldn’t see very well, and it was the only church song he had memorized. It may have been an unusual choice for a funeral, but I am certain Grandpa had sunshine in his soul that day as he was with his Maker and reunited with many loved ones who had gone before. The services were short—an hour and five minutes to be exact—which we think Grandpa would have liked. 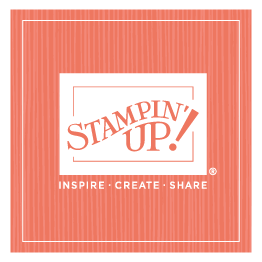 And after a touching graveside service as well, his family and dear friends gathered together at our Stampin’ Up! facilities in Kanab for a late lunch/early dinner and to celebrate Grandpa Great. It was so pleasant to hang around and chat, sharing stories and visiting. By the time everyone left and we cleaned up, it was fairly late—but it had been a beautiful day, and certainly a fitting tribute to an amazing man. Sunday was relaxing. We spent the day with family in Kanab and attending church in our jammies. That may sound unusual, but every six months my church has what is called “general conference,” when our main church leaders speak to members all over the world. There are several sessions throughout Saturday and Sunday, which are broadcast on television and the Internet. We had all agreed to stay in our pajamas and meet at my sister Vonna’s new house and watch together. It was a nice ending to the weekend. Sterling and I left Kanab after the last session and got home late last night. It was different to come home without Grandpa—it will be an adjustment. But there is great joy in looking back at his life, and we are so grateful for the opportunity we’ve had to be so close to him the last six and a half years.